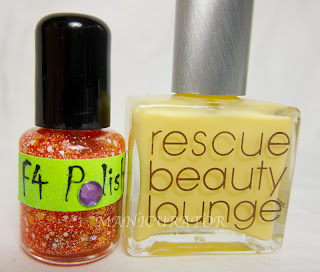 Hey there, as promised, here's the last 3 polishes from the F4 Halloween collection. See the other 4 here along with ordering info. OOPS. 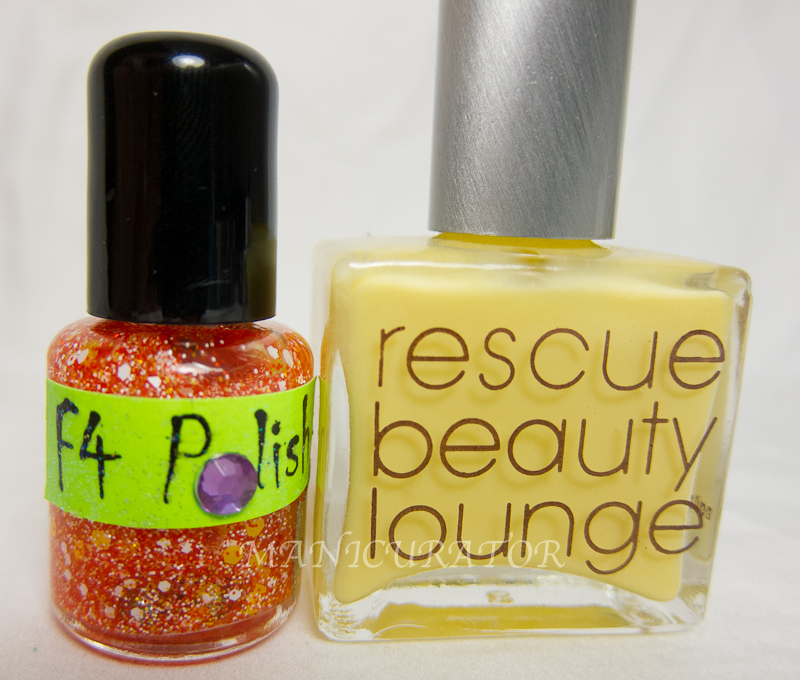 I just noticed I forgot to take a pic of Rescue Beauty Lounge Squarepants. Sorry. This is one coat of Krazy Korn over 2 coats Squarepants. Awesome! 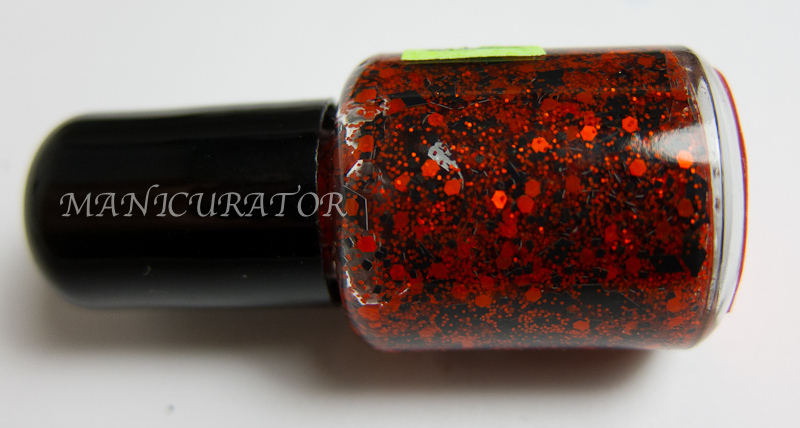 All swatches are one coat and have HK Girl top coat. This is a great, cohesive collection that has a little bit for everyone, I think. My favorite from this post is definitely Krazy Korn. The formula on all of these is great. The only minor issue I had was making sure I got enough of the black diamond glitters on the nail from Boo to You to show you. Which is your favorite here? Have a great night..I'm off to bed! 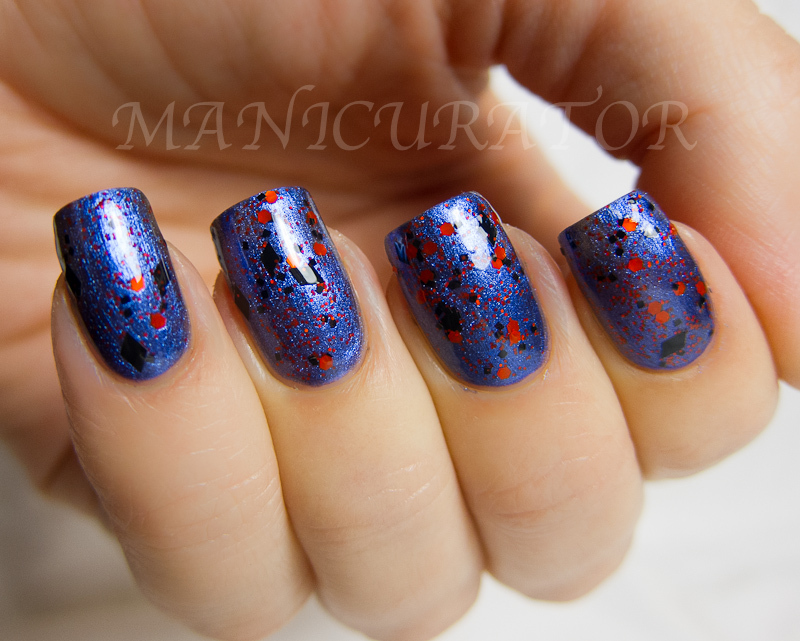 I love the polishes you chose to layer these ones over! Nightmare Forest over Fuggen Ugly is SICK! I love that combo! I'm so glad I ordered this as a collection....these swatches have made me super excited. Victoria! Your combos for these are AH-MAZING! LOVE F4 and Love you & your nails! 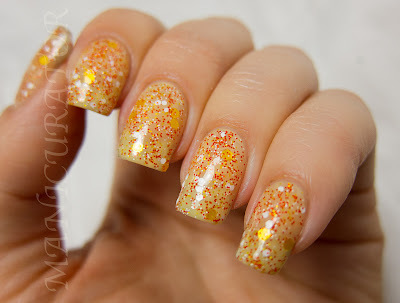 These are great swatches! 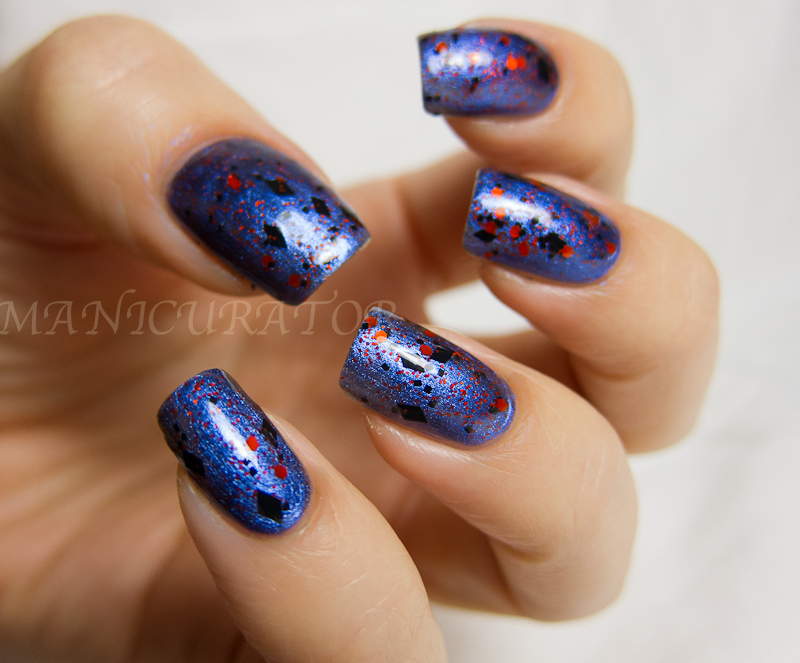 I like how F4s aren't glitter bombs and you can see your base polish. Nightmare Forest is so beautiful!!! Love it so much!